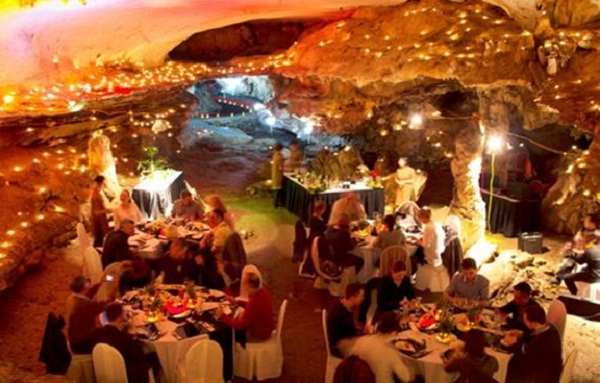 Instead of eating on a yacht or in a restaurant, the tourists should try having delightful dinner in a cave of Halong Bay. The atmosphere is extremely magical, romantic that promises you the memorial moments of your tour. 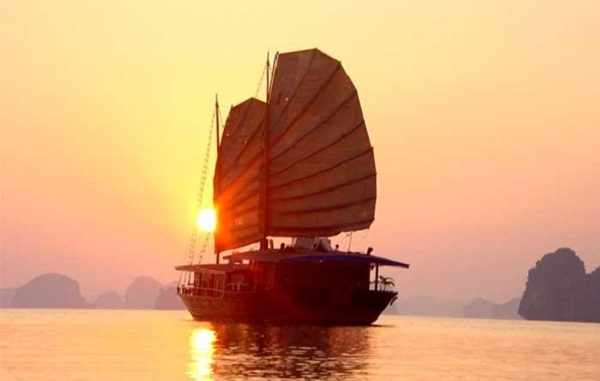 Chefs here are also so professional that visitors can enjoy the excellent cuisine of both Vietnam and Europe. This amazing dinner will be one of the best dinners you ever have. 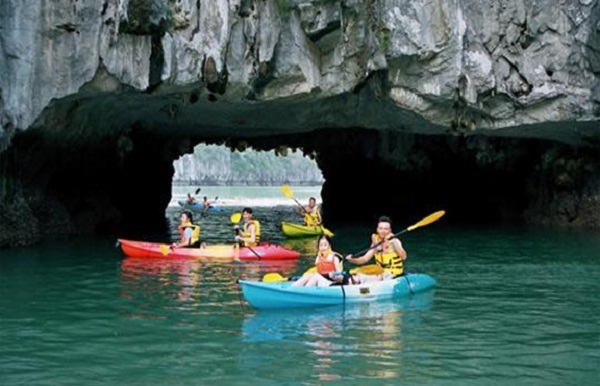 If you are coming to Halong Bay, you should never miss this unique activity only offered in Halong Bay. 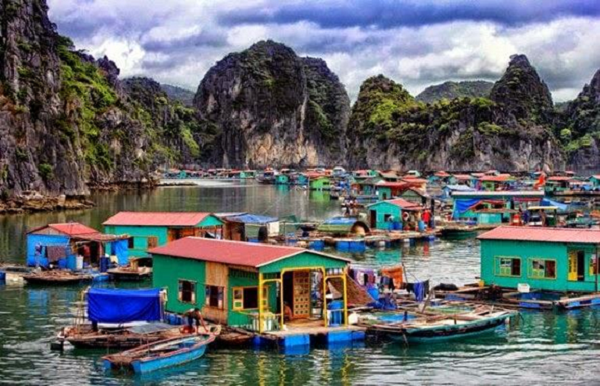 The floating village is usually located in magically calm place, is surrounded by rocky mountain that seems an escape from the hustle of Vietnam streets. Visiting fishing villages of Halong, tourists often enjoy the peace and discover the simple life of the local here. 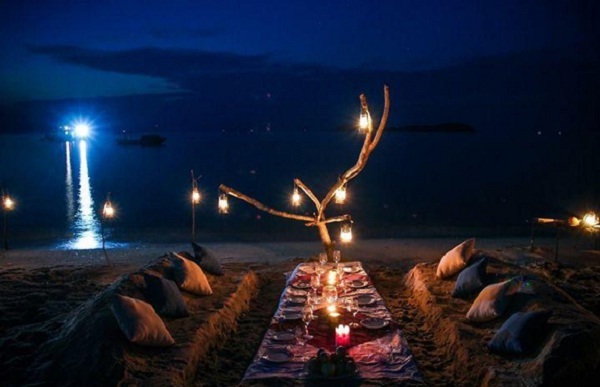 After swimming and kayaking, there is nothing better than enjoying a barbeque party on the beach. Guests enjoy the dishes prepared with fresh seafood, drink a cocktail and mingle in the fresh air of the beach. 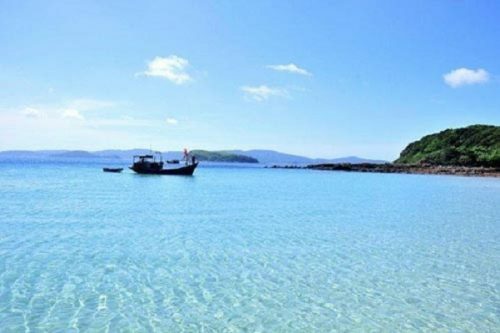 Also, the sound of waves lapping and the sun sparkling on the surface of water as a fascinating picture gives tourists great time and makes their best spirit in Halong tour. 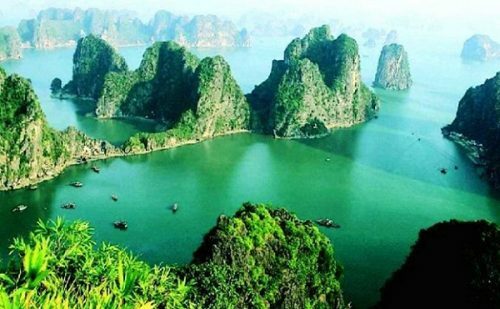 No one can deny the great beauty of natural scenery in Halong Bay. It always appeals any tourists coming here. Especially, the sunset over the sea is the most fantastic moment not to be missed. Sunlight will gradually change its color from yellow, orange to red and finally sinking into the blue sea.